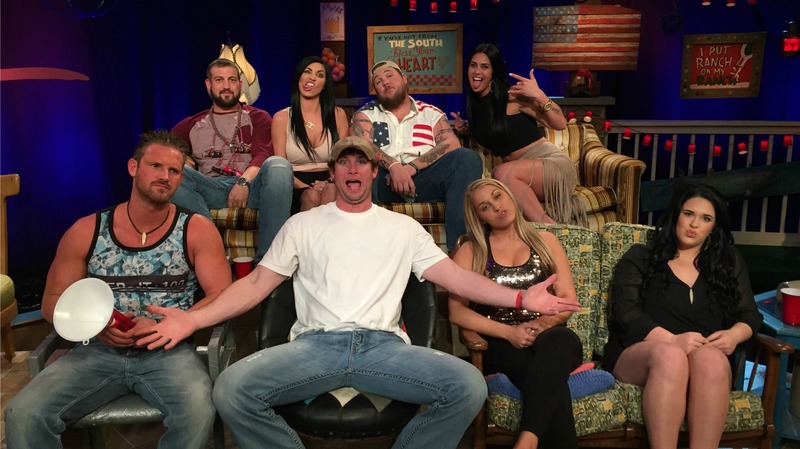 The Party Down South reunion is the cast’s final time together… or is it? After five wild, funnel-filled seasons, the boozy addition that was Party Down South is officially over, y’all. During a teary finale episode, Tiffany, Lauren, Murray, Mattie, Lyle and Hannah said goodbye to their last vacation. Here’s the thing: SallyAnn Salsano, 495 Productions president, and founder, creator and executive producer of Party Down South, hinted to SheKnows in an exclusive interview that — like the rest of us —she isn’t quite ready to see the party end. Hell yeah! Ya hear that, CMT? But, at least for now, it looks like we will be saying goodbye to the gang. Tonight’s reunion episode predictably only made fans feel even more feels about the show’s demise, thanks to a ton of funny clips, flashbacks and Q&As with the cast. Among the things we learned: Lyle and Santana did, in fact, give it one more go after the season ended. Spoiler alert: They still went down in flames. Also, despite our innermost hopes and desires, Lyle doesn’t want to start anything up with Mattie for fear of ruining their friendship. So the time has come to send off our twangy friends to begin the next chapter of their lives, and no class of graduates would be complete without some good ol’ class superlatives. The cast has voted, those votes have been tallied and the results are in. Congratulations, PDS, class of 2016! You’re gonna do life well; we can tell. Do you agree? Weigh in with your own PDS superlatives in the comments!